With the holiday season fast approaching many are thinking about having friends and family over for a dinner party. What better way to celebrate the season than having a swanky dinner party? With the dinner party in mind, we decided to check in with Toronto's home entertaining maven, Dee Brun, a.k.a., the Cocktail Deeva to solicit her advice on throwing the ultimate party. With the holiday season fast approaching many are thinking about having friends and family over for a dinner party. What better way to celebrate the season than having a swanky dinner party? Dust off the good china, set a fun table, plan the menu and then decide what alcohol you would like to serve. Martha Stewart states that she loves to greet her guests with a tray of cocktails or glasses of champagne. With the dinner party in mind, we decided to check in with Toronto's home entertaining maven, Dee Brun, a.k.a., the Cocktail Deeva to solicit her advice on throwing the ultimate party. Brun is a television personality, celebrity event planner, food and drink stylist. This is the most important thing. Do not invite too many people so that you can't give everyone that personal touch. Have two dinner parties if you have to in order to invite everyone you want. The key to enjoying yourself at your own dinner party is: do as many things ahead of time as possible. The simplest task can seem to take for ever when you are rushing. Plan ahead so that during the party you actually can spend time doing the most important thing at a dinner party -- entertaining your guests. I love walking into someone's home for a dinner party and the mood has been set. Dimmer lighting, candles and music are the best ways to do this. Re-arrange your seating to create an intimate atmosphere to allow conversation to flow easily. It is a dinner party after all. Most experts will tell you to cook what you know. I, however, am not "most experts." I say go wild...try something new and inventive and fun. This will create conversation throughout the night. People love trying new things, and with enough wine, almost anything will taste great. Just be sure to have some back-up appetizers in case the meal goes horribly wrong. Either way, you will have a great story to tell. Your home does not have to become a liquor store. I suggest a signature cocktail, one that can be served with or without booze for those who are driving. It's also a great idea to pick one that can be made as a punch ahead of time so you are not playing bartender the whole night. Remember your guests are there to spend time with you. A small selection of beer (lite and regular) and wine. Deerhurst Resort recently hosted a "California Dreamin Wine Pairing Dinner" with Sommelier Serge Janjic from Treasury Wine Estates and accompanied by a five-course menu created by Executive Chef David Bakker. Each course was served, matched with a wine and a talk given as to how the two compliment each other. With this in mind, I threw out a few questions to Chef Bakker to get some pointers on how to create a successful dinner event at home. It is hard to say specifically which wines I would serve that are all encompassing. Things to remember when serving wines and cheese. It is always a safe bet to serve wines and cheeses from the same region. 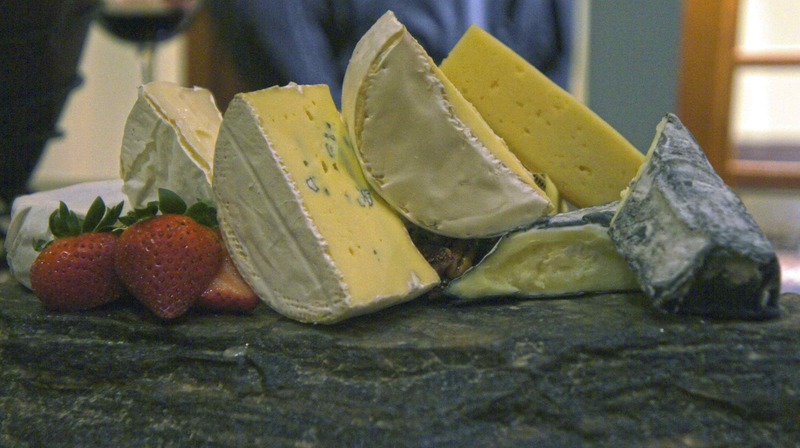 The harder sharper cheeses can stand up to more tannic wines (generally heavier reds), the creamier soft cheeses like wines with a lot of acidity, and the more sour tart cheeses (blues) like stronger and more sugary wines (port, ice wine, sauternes etc). Do You Design Your Menu First And Then Pair Wine? Normally we design the food and then the wine is matched to the food. As a chef we are a bit egocentric. At the Deerhurst wine-pairing event the focus was about California Wines, the sommelier chose the wine and I used the wine tasting notes to compose the meal. As a chef we are always trying to build in terms of flavour and never repeating ourselves. I try to define a few base flavours within the wine and match the food to that. You want to be complimentary, always think of things such as acidity with fat content. big bold flavours with big bold wines. Tasting notes from vineyards help a lot, you can get the base flavours of the wine. If your dish includes cherry flavours, then check the wine tasting notes for cherry aromas and identification. If you are cooking at home, and not that comfortable, then keep it simple. Pick a defining flavour. In each course build with the strength of that flavour and match a wine to each dish. Most people do not necessarily understand how wine can enhance food's flavour and vice versa. 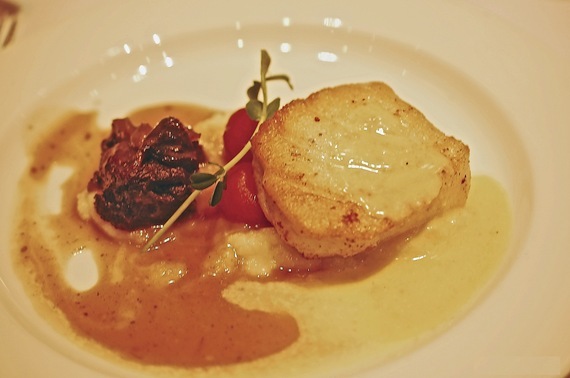 Making three courses that each have a specific wine paired will impress your guests. If you have a tight budget then do what is within your capabilities -- rethink your guest list and dinner menu. If your serving bubbly as a welcome drink and would love to serve a glass of Verve Clicquot or Deutz Champagne then factor that into your budget. Sparkling wines like Prosecco are a good stand-in for champagne if your budget needs stretching. For more information, check out The Guide to Wine for Beginners and food pairing diagram.